Bowins departed the technology company late last year. 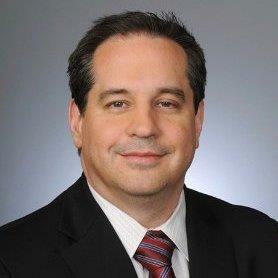 NEW YORK: Andrew Bowins, formerly Samsung’s top communications executive in North America, has joined KPMG as executive director for corporate reputation and digital engagement. Bowins is reporting to chief communications officer Chris Monteiro, who joined the company in May after an 18-year tenure at MasterCard. Bowins is tasked with building out the company’s corporate reputation team in the U.S. as it pushes towards greater channel integration. His mandate also includes bringing together corporate and employee communications with digital comms and the KPMG content studio, the company said in a statement. Bowins will also work to integrate digital and social media with traditional communications with the goal of boosting KPMG’s culture and reputation amid greater collaboration with marketing, the company said. Bowins has five direct reports, and the reputation team has 22 staffers in total. "KPMG is celebrated for its workplace culture and is committed to new ways of communicating with and engaging stakeholders," he said via email, adding that "culture was the driving force in my decision to join the firm." Bowins exited Samsung late last year, saying on Twitter that his departure "had nothing to do with recent company events." Two months earlier, the technology giant stopped manufacturing and selling the Galaxy Note 7 smartphone following reports of the flagship product exploding or catching on fire. Samsung appointed Brenna Eller to lead its communications in North America on an interim basis as it searches for a permanent replacement for Bowins. Bowins joined Samsung from MasterCard in 2015, initially as head of corporate communications for subsidiary Samsung Electronics America. Before working at MasterCard, where he reported to Monteiro, he held senior communications roles at Nokia and Dell, as well as several agencies. Mark Walters, former director of communications, departed KPMG late last year to join Dentons, one of the world’s largest law firms, at the start of the year. He previously worked at FTI Consulting as SVP and director of corporate communications in the strategic communications practice. This story was updated on January 5 with additional information.